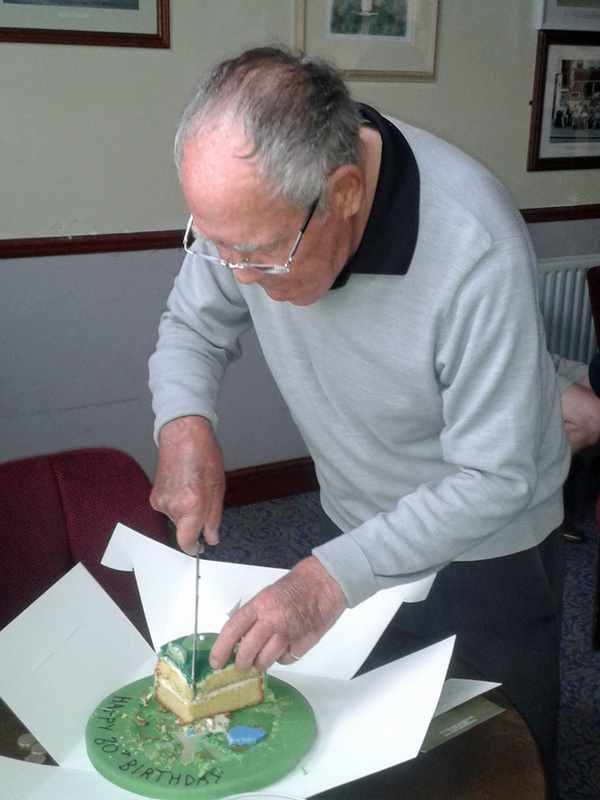 John Clark celebrated his 80th birthday by bringing in this stunning golf-themed birthday cake. After the Wednesday swindle he applied the knife to the work of art and shared it out in the clubhouse. He spent the great day in the company of his daughter who has returned from Canada to help with the celebrations. Among other treats he spent an evening in one of Essex’s premier eateries. The lip-jobs and botox didn’t put off our hero too much but he does prefer taking money from the COBs twice a week. Mr Rymer says that no handicap allowance is possible on the grounds of antiquity.